Recently, Jim and I joined our friends John and M’Evie for dinner at Niche in St. Louis. The reviews of the restaurant are uniformly glowing. Food and Wine featured a very favorable profile of the restaurant in an article on the St. Louis dining scene; the restaurant routinely wins “Best of” awards from the city’s media outlets; most impressively, Gerald Craft, the head chef, has been nominated for a prestigious James Beard award, the winner of which will be announced in May. Craft is credited with helping to revive the Benton Park area in St. Louis as well as for practically inventing a farm to restaurant supply chain for the region. Clearly, he’s doing a lot of things right at Niche. We certainly enjoyed our meal there. 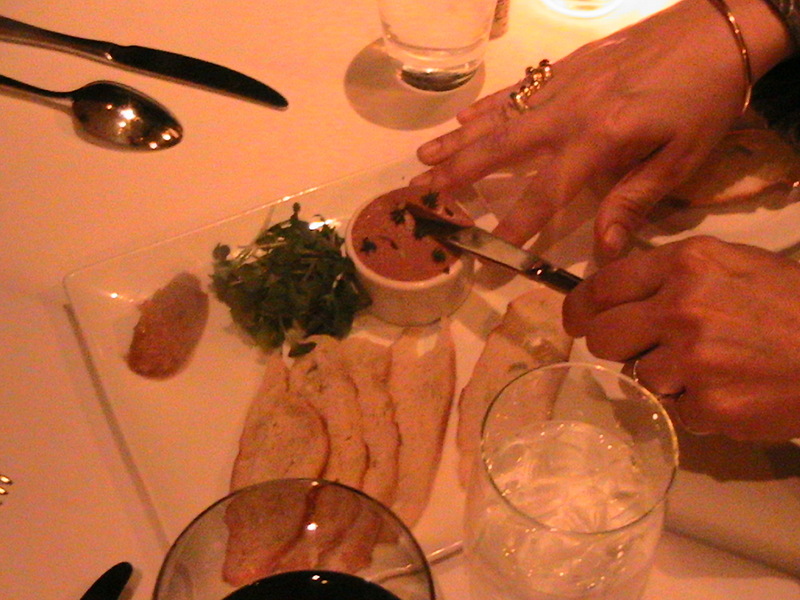 By far, the most delicious thing that we ate was the chicken liver terrine served with an orange-date compote, a dish that has been on the menu since the restaurant opened. I can see why. Oh. My. Word. It was truly stunning: smooth and luscious with the perfect amount of schmaltz. And was that shallot that I tasted? 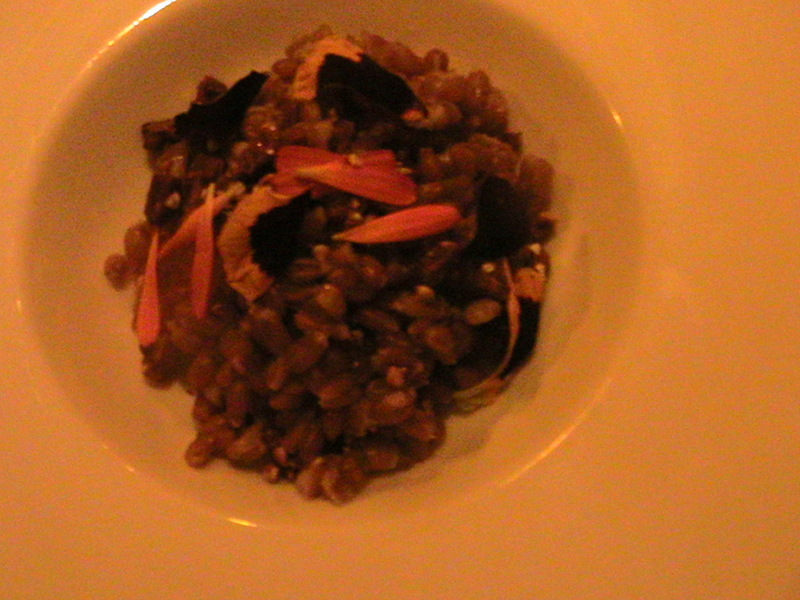 As a first course, Jim ordered farro with roe. It was good, if a bit salty. The waiter mentioned that the farro was cooked in ham stock, which is a good move, but then to pair it with roe, which is also salty, pushed the dish just a bit over the top. The saltiness was somewhat mitigated by the addition of some pieces of sweet buckwheat, which was really the saving grace of the dish. I ordered the trout duo as a main course: one half of the duo was a delicious mound of trout rillette served atop thinly sliced beets. 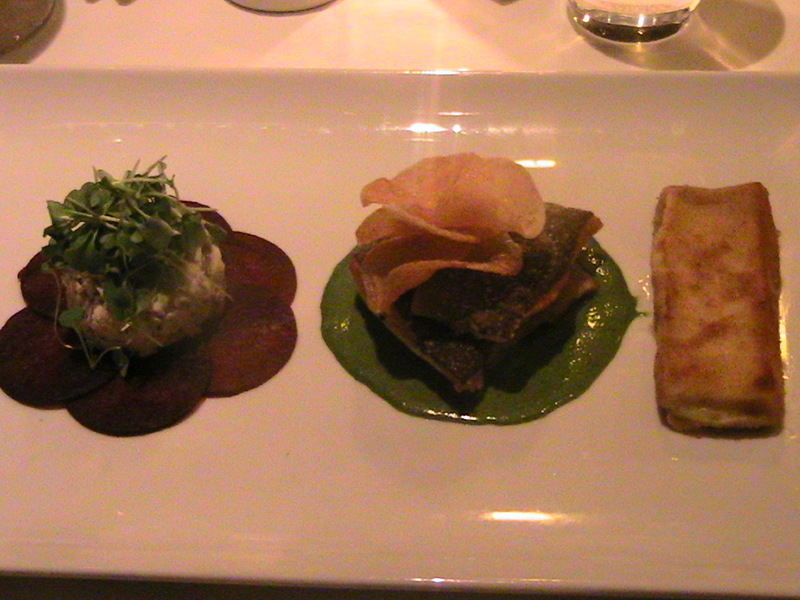 The other half was a piece of nicely roasted trout topped with the most incredible house made potato chips. I wish I could remember what accompanied the trout. It’s in the photo here and my best recollection is that it was a bit like a potato knish. I think my memory lapse suggests something about that particular aspect of the meal. It was fairly nondescript and seemed to be poorly matched to the rest of the meal in terms of texture and flavor. I think something with a more assertive taste would have worked better on the plate. And then there was dessert. I ordered only one dinner course to save room for the upside down sticky toffee pudding cake served with orange peel and orange sherbet. 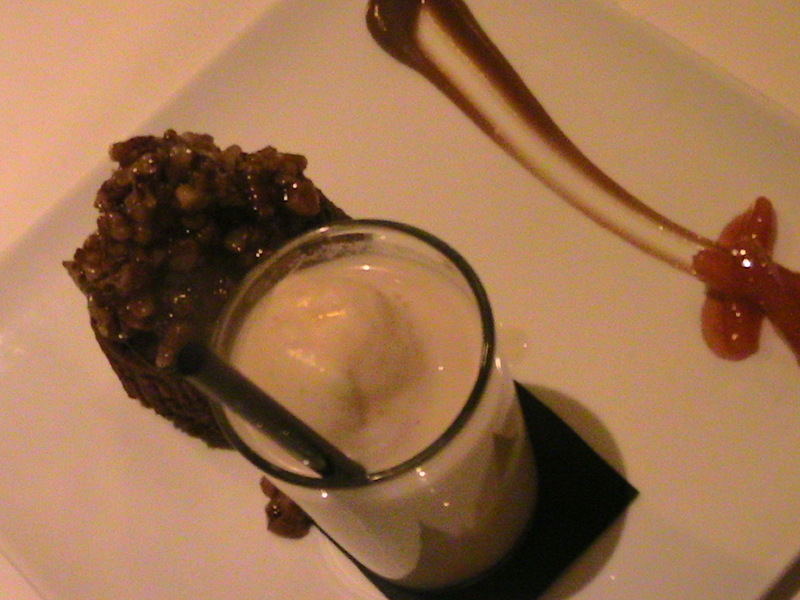 Hands down, sticky toffee pudding is my favorite dessert so I had very high hopes for this version. 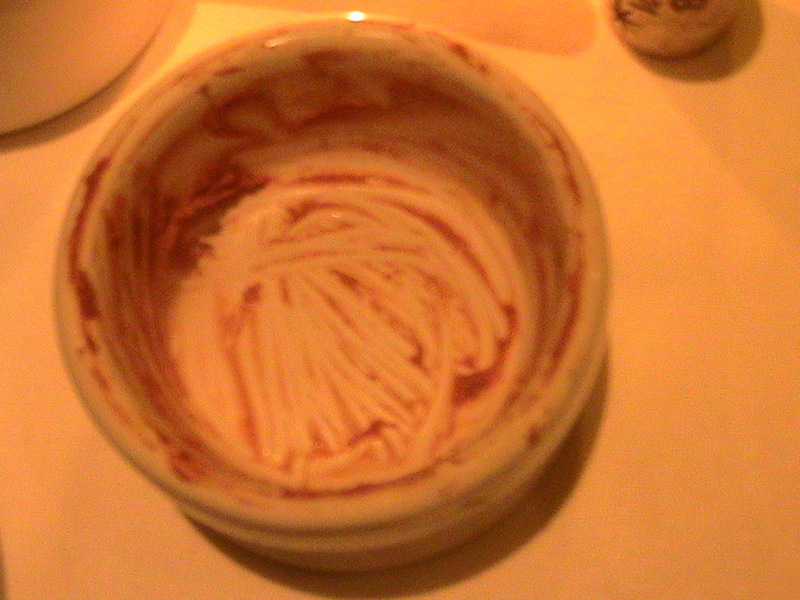 Unfortunately, the dessert was a disappointment. The cake was good, but a bit on the dry side; the caramel nondescript. The sherbet, which is house made (as are all the ice creams and gelatos), was, I’m sorry to say, an utter failure: flavorless and grainy. The problem, I suspect, was age. 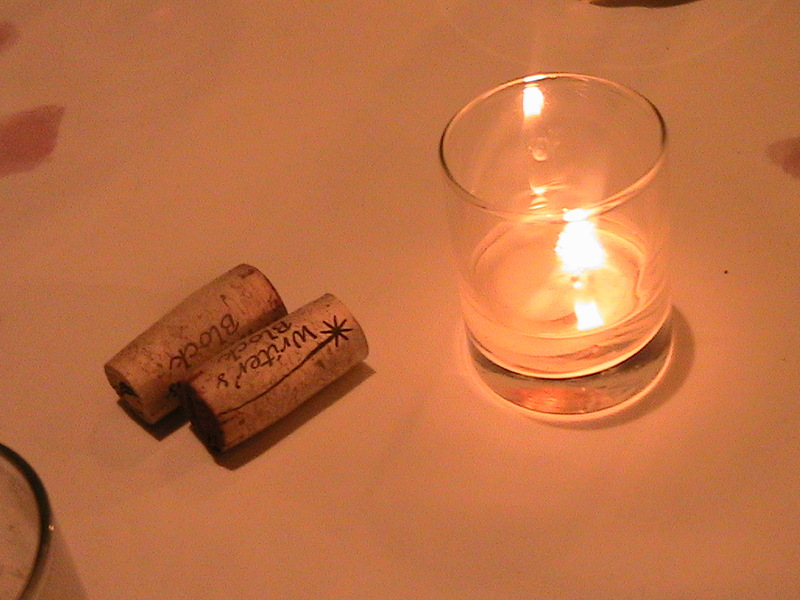 Our visit was the first night that the restaurant was open after a four night break for the New Year’s holiday. I suppose the sherbet was leftover from the previous week. Some kind of starch — my guess is corn starch — had separated from the cream and flavorings. 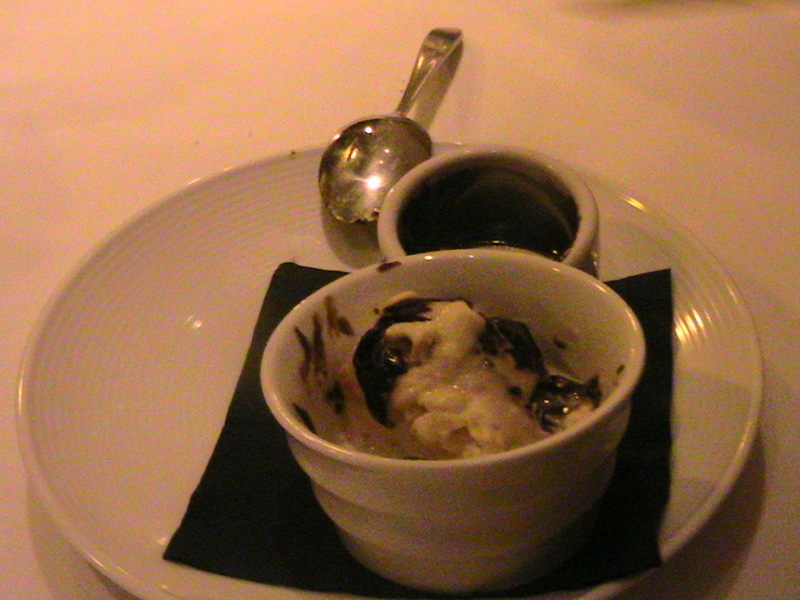 This was also the case with Jim’s vanilla ice cream with chocolate sauce. 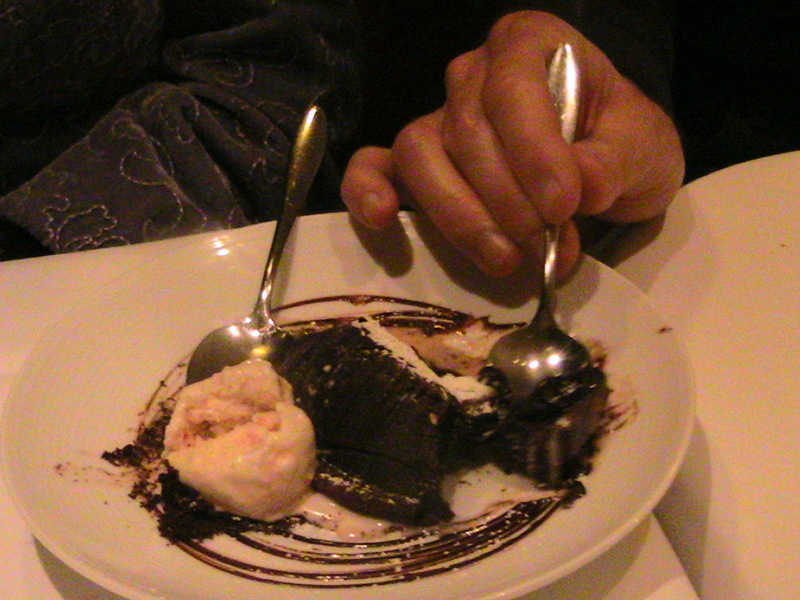 John and M’Evie fared better with the liquid chocolate cake and peppermint ice cream, a dish that was a wonderful combination of warm chocolate and cool, fresh peppermint. In spite of the disappointments, our meal was impressive: Jim’s pork was excellent and John and M’Evie’s chicken was well prepared and innovative (which is saying something; it’s hard to be creative with chicken). The ingredients are all locally sourced and in season. Execution aside, it is deeply satisfying to eat this way. This visit to Niche has prompted some questions about what Americans expect when they eat out. I suppose we expect different things from different types of restaurants, but when we eat in fine restaurants, what, exactly, are Americans looking for? According to Lynn Rosetto Kasper, of The Splendid Table fame, Italians dine out to eat meals that they prepare at home and “heaven help the restaurant that gets it wrong.” I’m not sure what other nationalities expect when they dine out in restaurants, but it seems to me that Americans expect food that is altogether different from the food that they eat at home. However, the American restaurant scene seems to be evolving to meet a new set of customer expectations and this evolution might be an indication of a dramatic cultural shift. Could it be that Americans are beginning to appreciate quality over quantity and superficiality? Then again, it might just be a fad. Time will tell. The food that we had at Niche was prepared with ingredients that American home cooks (or at least those who live in St. Louis) have access to, but Craft does unusual things with them, which is, I suppose, why the James Beard Foundation has recognized his efforts. His restaurant seems to have become an important site in the St. Louis food scene and it’s good to see someone so committed to using local ingredients. We’ll certainly eat there again. I just hope it’s on a night when the ice cream meets my expectations. We’re spending part of our holiday break in St. Louis, visiting Jim’s family and catching up with friends. We’re also eating well. St. Louis is a great food city due, in large part, to the fact that so many Italians settled there in the 19th and 20th centuries. 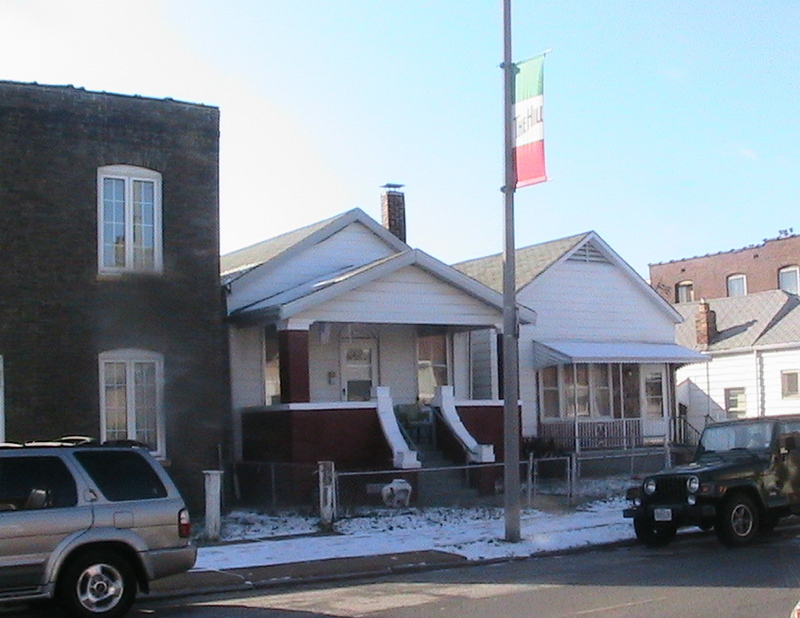 Italian-American enclaves continue to thrive in the city. 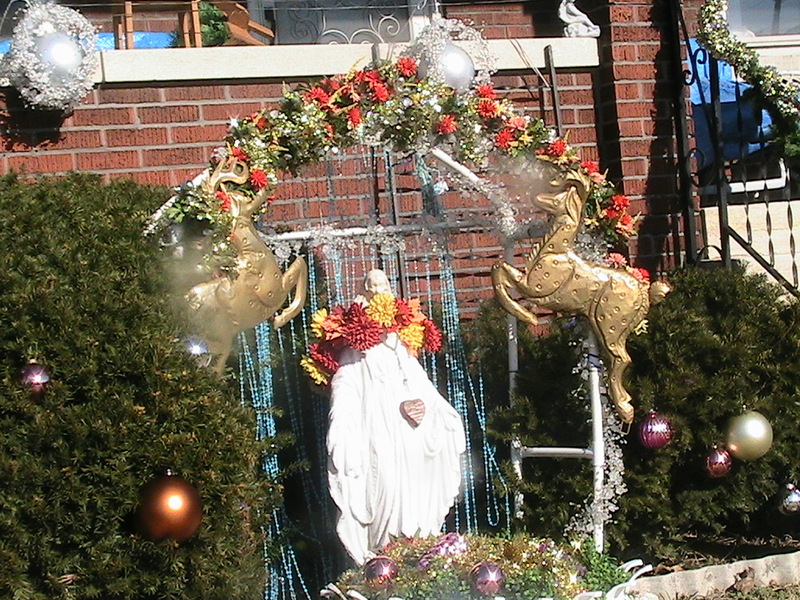 My favorite of these is a neighborhood called “The Hill.” It is certainly not the most elegant part of the city, with its narrow, crowded streets, unfashionably small houses, and unusual lawn decorations, but it is a haven for food lovers. 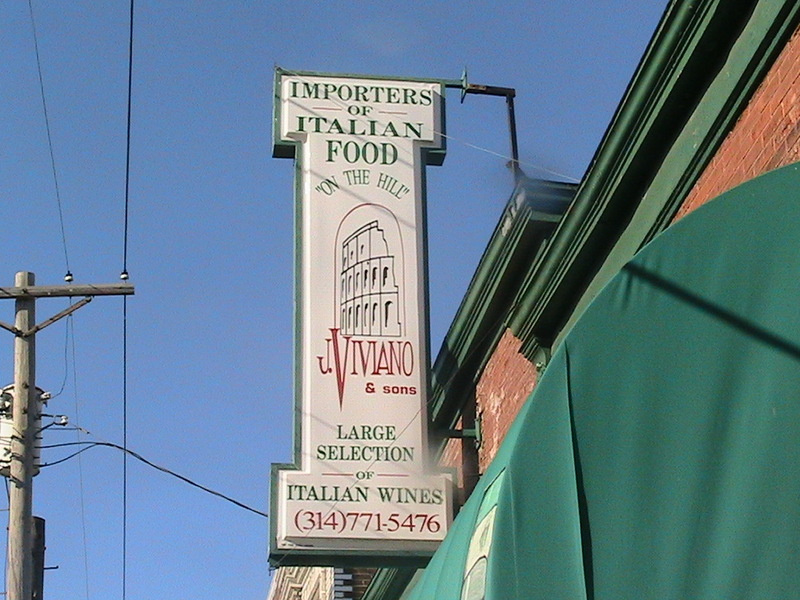 Every time we come to the city, we make a pilgrimage to The Hill to enjoy great food, drink great coffee, indulge in great gelato, and shop at one of the all-time-great neighborhood grocery stores: J. Viviano & Sons. The Hill is the place in St. Louis to go for bocce ball, knife sharpening, and spumone. 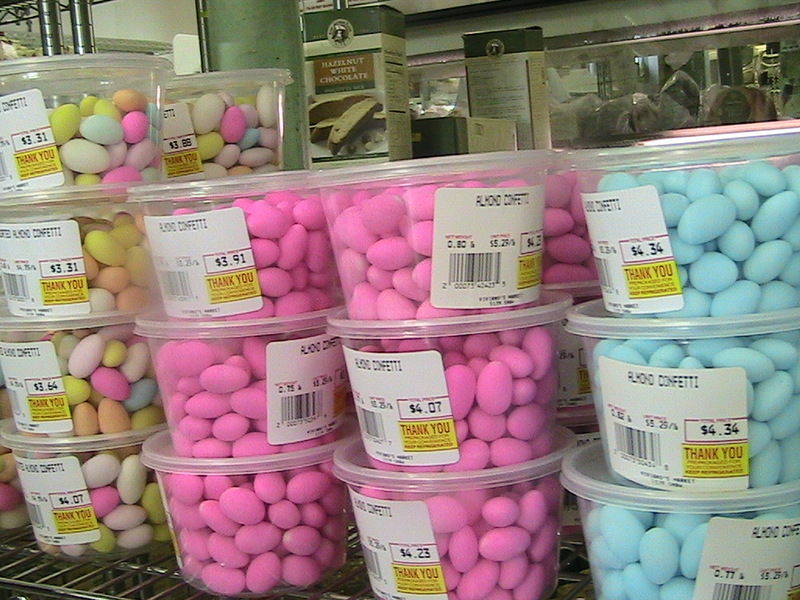 Viviano’s is the place to go for staples of the Italian pantry: cranberry beans, reasonably priced cans of San Marzano tomatoes, anchovies packed in salt, oil, or both, and dayglo bright sugared almonds. When we go there, I stock up on olive oil, Marsala wine, aged balsamic vinegar, dried fava beans, farro, and pasta, just about any size or shape you can imagine. The best thing about Viviano’s is how real it is, how authentic. 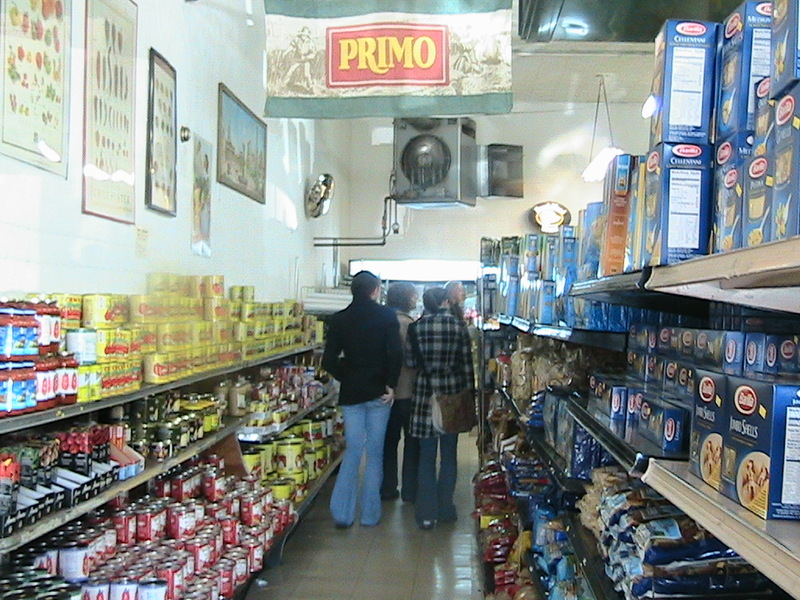 It isn’t some kind of simulacrum of an old-time Italian grocery store; it is one. This means, of course, that it’s not much to look at. 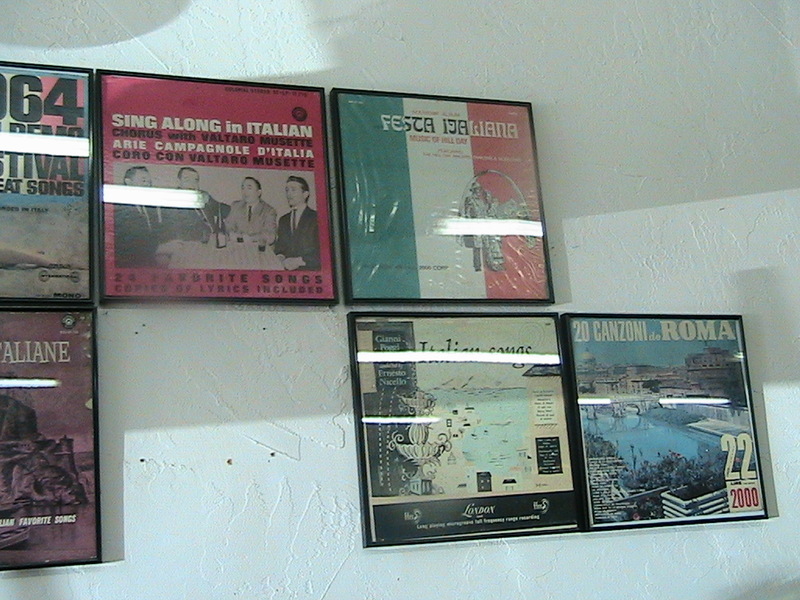 The floors are warped; the walls covered with kitschy Italian album covers, photographs of the founder’s wedding, and advertisements for Italian foods and films. Prominent among these is a poster that Jim covets: an original advertisement for Fellini’s La Dolce Vita, the perfect image to preside over this innocent shrine to Italian culinary hedonism. The aisles in Viviano’s are narrow and uneven, probably no different from they way they were in 1949, when the store opened. There is no traffic flow in the place, no obvious pattern of navigation. You just kind of go to where your eyes take you, shopping in a very natural and human fashion. This makes the place sort of dangerous. The grocery carts are rickety and small, but not small enough to easily steer through the tiny store. Tense stand-offs with fellow shoppers are common. The place is mostly patronized by elderly Italian-American men and women — actual residents of the area — who shop there because Viviano’s carries authentic Italian food at good prices (listen up, Whole Foods!). Those old folks are tough though: they handily best me at grocery cart chicken. 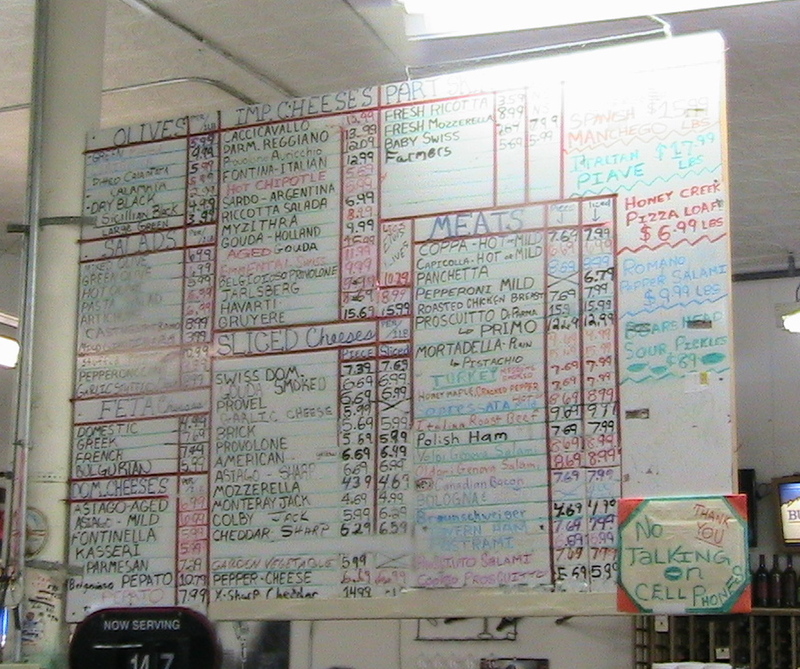 Unlike modern grocery stores, Viviano’s smells like food, mostly of meat. This is because of the deli counter, which is usually packed with customers, especially on weekends and holidays. Throngs of people line up for capicola, pancetta, mortadella, and salami. There are huge buckets of olives — black, green, large, small, pitted, unpitted — and many different types of Italian cheese. Best of all, everything is reasonably priced. Those old folks simply won’t stand for being gouged. Which is not to say that Viviano’s does not carry fine foods. Last year, when we were there during the holidays, I sampled the most incredible prosciutto, truly luscious stuff, but we were on our way out of town so I didn’t buy any. Oh, how I thought about it all the way home though. Obviously, I still have it on my mind. When Jim and I fantasize about moving to St. Louis, we almost always talk about buying a little grandma bungalow on The Hill. The rest of our dream is almost purely culinary. Saturdays would look something like this: we’d walk to our favorite bakery in the morning — there are several to choose from — and then move on to Viviano’s for the day’s groceries, stopping at the Shaw’s Coffee for a cappuccino and grabbing a gelato for Mimi from Gelato di Riso. In the afternoon, we might play a game at Milo’s Bocce Garden. Finally, at night we’d have dinner with our friends M’Evie and John and Grant and Mary at Zia’s or maybe splurge and eat at Dominic’s, a venerable St. Louis institution. We’d enjoy the good food and excellent conversation and walk back to our tiny home together though those narrow, crowded streets. And, then, maybe then, we’d be living la dolce vita.